M.J. Crockett is an assistant professor of psychology at Yale University and an expert on the neuroscience of human morality and decision-making. No one was surprised when yet another school shooting devastated a U.S. community, this time in Parkland, Fla., on Valentine's Day. But the survivors' response has been nothing short of astonishing. Their exquisite fury has flooded social media, pushing a national conversation on gun violence. Will the Parkland students succeed in transforming U.S. gun-control policy? Perhaps – if they can harness the volatile power of moral outrage in the digital age. To appreciate modern outrage, we first need to look to our evolutionary past. Moral outrage evolved in the context of small groups, where people interacted face to face and formed long-term relationships, when survival depended on co-operating with neighbours to hunt, forage and fend off predators. Outrage was optimized for this environment, where it served a valuable social role by providing powerful incentives for moral behaviour – if you stole from your hunting partner, he could get you kicked out of the group, and since being in a group was crucial for survival, ostracism was a death sentence. New research, however, suggests our ancient outrage instincts may operate differently in the modern world. Just as our appetite for fat and sugar makes self-control more difficult in a food landscape filled with burgers and soda, so, too, might our taste for outrage make it harder to resolve political conflicts in the age of social media. #NeverAgain is just the latest example of how activists can expertly use online platforms to build large-scale social movements. But scale does not always translate into success, and the psychology of moral outrage helps us understand why. In 2014, researchers at the University of Illinois published a study in Science that tracked the everyday moral experiences of more than a thousand North Americans over the course of several days. They found that people were more likely to learn about immoral acts online than in person or through traditional forms of media such as TV, radio or newspapers. And the online content triggered stronger feelings of outrage than immoral acts encountered in person or via traditional news sources. Altogether, this suggests that online news platforms may be artificially inflating people's experiences of outrage. How does this work? Because companies such as Facebook and Google compete for our attention to make money from advertisements, their algorithms promote content that is most likely to be shared. Social scientists at the University of Pennsylvania have discovered that the best predictor of sharing is strong emotions. Moral emotions, such as outrage, have particular sway: An NYU study found that every moral sentiment in a tweet increases its likelihood of being shared by 20 per cent. Clickbait headlines, then, are a natural byproduct of an information ecosystem that selects for the most engaging content – think "survival of the fittest" for headlines. Unfortunately for us, this means that the algorithms select for the most outrageous content, regardless of its social value or whether it is even true. In addition to providing a constant supply of outrage triggers, social media dramatically lowers the costs of expressing outrage. Offline, punishing bad behaviour is difficult, stressful and risky. It's hard to be harsh to someone's face, and they might retaliate – sometimes with drastic and tragic consequences. Last year, Ricky John Best and Taliesin Myrddin Namkai-Meche lost their lives when they tried to stop a man making racist comments on a Portland commuter train. But online, you can express outrage with the click of a button and hide among thousands. This means the threshold for shaming and punishing others is much lower online. On top of all this, digital platforms amplify the personal rewards of expressing outrage. Naming and shaming wrongdoers benefits people by signalling their moral quality to others, and online networks multiply these benefits. People are not necessarily conscious of their reputations when they express outrage, but anyone paying attention to their "likes" and "shares" is bound to learn, at least implicitly, what kinds of expressions are socially valued. All this social reinforcement may make expressing outrage habitual. Posting outrageous content is one of the best ways to get "likes" and "shares," and these dopamine boosters are delivered at unpredictable times – a pattern of reinforcement that neuroscientists have shown leads to habit formation. This is intentional. Tech companies design their platforms to reward us in this way because the slow drip feed of social rewards reliably keeps us hooked to our screens. Former Google design ethicist Tristan Harris has likened smartphones to "slot machines in our pockets." To be sure, moral outrage can be a major force for good by holding bad actors accountable. Social media democratizes the power of outrage, amplifying the voices of traditionally disempowered groups and enabling them to check the behaviour of more powerful interests. #BlackLivesMatter has raised public awareness of violence and systemic racism toward black people. The #MeToo movement is helping to empower sexual-assault victims and bring repeat offenders to justice. Most of the Parkland students are too young to vote, but thanks to their expert use of social media, they are taking on the NRA and the GOP – and so far, seem to be making a difference: State and federal lawmakers have already taken steps toward passing new gun-control measures, dozens of major corporations have cut ties with the NRA and several leading retailers announced they will stop selling assault rifles. Nevertheless, social media may be shaping our moral emotions in ways that could ultimately make it harder for us to change society for the better. By precisely targeting our outrage triggers, fake news diverts our attention from real events, much like junk food makes us lose our taste for nutritious snacks. And expressing outrage about these stories counterproductively amplifies their reach. Just days after the Parkland shooting, a conspiracy theory accusing a student survivor of being a paid "crisis actor" instantly went viral on Facebook and soon after became the top trending video on YouTube, temporarily drowning out the voices of the student activists. Russian trolls seized the opportunity to exacerbate social conflict with hyperpartisan rhetoric. What's more, by making it so much easier to shame and punish others, social media degrades the ability of outrage to distinguish the truly atrocious from the merely disagreeable. Like the boy who cried wolf, the Twitter mob crying "SHAME!" becomes easier to dismiss the less precisely it positions its crosshairs. To move the needle on gun control, public outrage needs to remain focused on the gun-violence epidemic, lawmakers' inaction and the lies of the NRA. But in the wake of the shooting, viral outrage has also erupted over U.S. President Donald Trump's crib sheet reminding him to express empathy for the victims and his unserious proposal to arm teachers. Just looking at the responses online, an observer from another planet might think we humans believe all these offences deserve equal attention. When everything is worthy of outrage, effectively nothing is. For partisan issues such as gun control, expressing outrage online may be especially counterproductive. If people are mostly connected to those they agree with politically, this limits the potential for dialogue that can change minds. A study of Twitter users found that in the days immediately after the 2012 Sandy Hook school shooting, online discourse resembled a national conversation, with messages reaching liberal and conservative users alike. But within a week, the conversation became polarized, with gun-control advocates and gun-rights supporters talking among themselves but not to each other. This is probably because the issue was moralized: A recent study found that expressions of moral emotions on Twitter were enthusiastically shared within separate networks of liberals and conservatives, but not so much between liberals and conservatives. Political discussions online mainly consist of teammates shouting at each other about how terrible their opponents are. Is it any surprise that partisan divides are stronger than ever? Harnessing digital outrage for social good will require a mindful awareness of how social media manipulates our emotions. 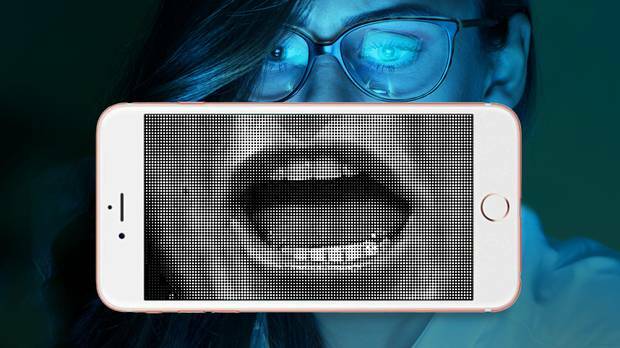 This technology may disconnect our expressions of outrage from our best intentions. Just as a habitual snacker reaches for the bag of chips without thinking about their diet, a habitual online shamer might retweet fake news without thinking about the broader social costs. Another possible consequence is outrage fatigue: Non-stop exposure to shocking information may reduce the intensity of people's experiences of outrage over time. If your news feed is constantly making your blood boil, you may not have energy left for actions that make a difference, such as volunteering, marching or voting. Social-media companies, hostile foreign actors and the NRA all profit more the longer we sustain our social conflicts. Online platforms seem to be designed to keep us trapped in furious feedback loops that distract us from the difficult work that will ultimately lead to social change. An important step forward is recognizing that if moral outrage is a fire, social media is like gasoline. It's worth considering whether we want to cede control of some of our strongest moral emotions to algorithms that are, at best, indifferent to our own welfare.